Today I registered for the Lords of War Frostgrave Campaign Day taking place this Sunday near Toronto. 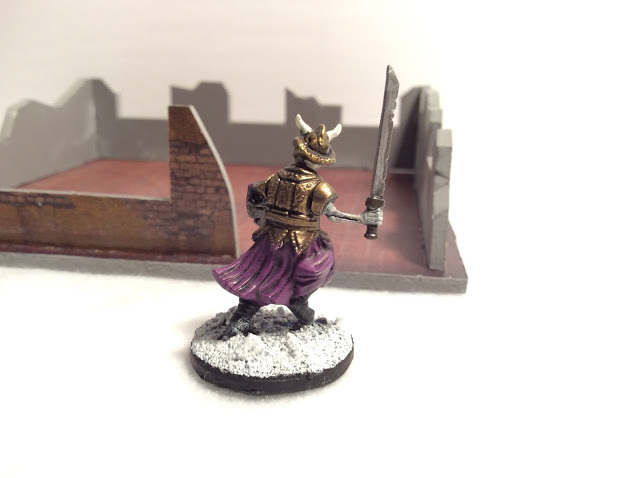 I currently have 24 miniatures on my painting table left to complete for my warband. 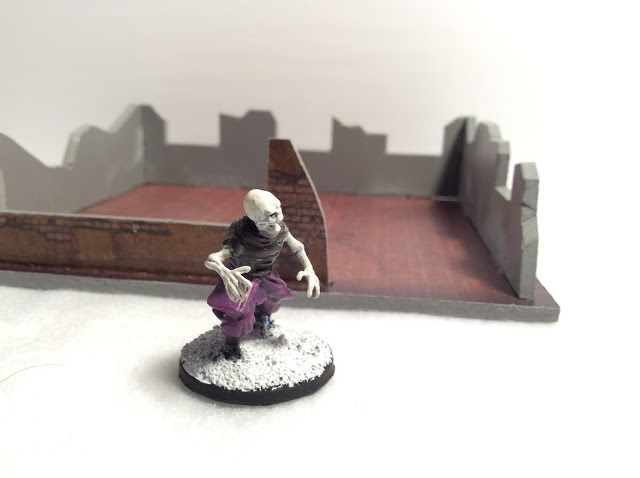 I am painting 24 because I want options for what to play in my list as the campaign progresses. Unfortunately, my wife has other plans for me this Friday and Saturday besides painting miniatures, so I am really going to have to hustle to get my work done in time for the tournament day. Below are some pictures of the work that I have completed. I am really happy with how this skeleton turned out. 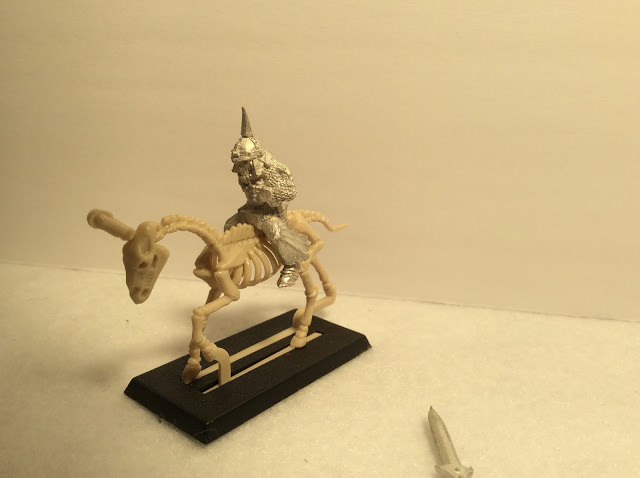 He could be an Armoured Skeleton within my warband if I were playing Thaw of the Lich Lord. 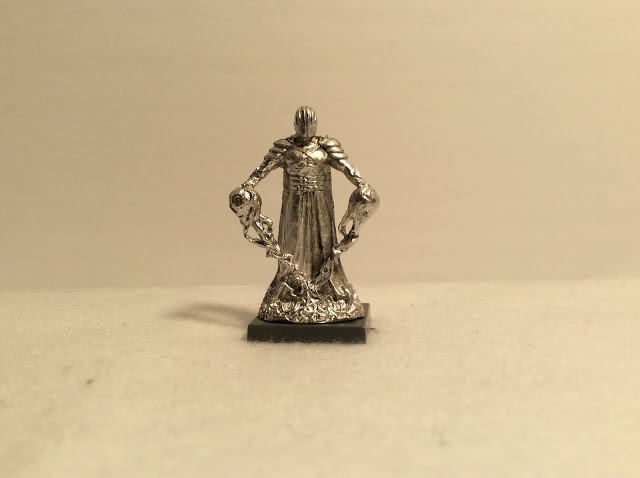 Instead we are going through The Hunt for the Golem campaign so this figure will serve as one of my wandering monsters. A shot of the same figure from the back. 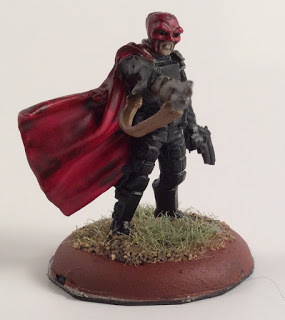 I constructed him using parts out of the North Star Miniatures Cultist Box, which I bought from J&M Miniatures. 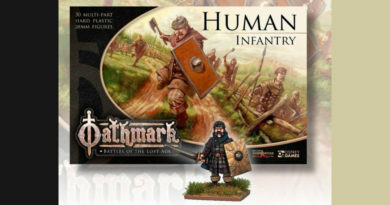 I really like this box set and the miniatures that I have made from it are all fantastic! 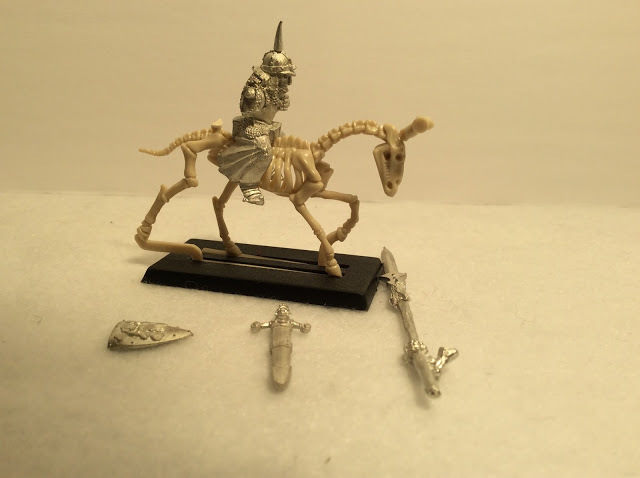 Beside the Armoured Skeleton is a Regular Skeleton also built from the Cultist box set. If I find time, I still need to clean this Skeleton up a little bit. I plan to use him at the Tournament Day as a Medium Construct for my Warband. 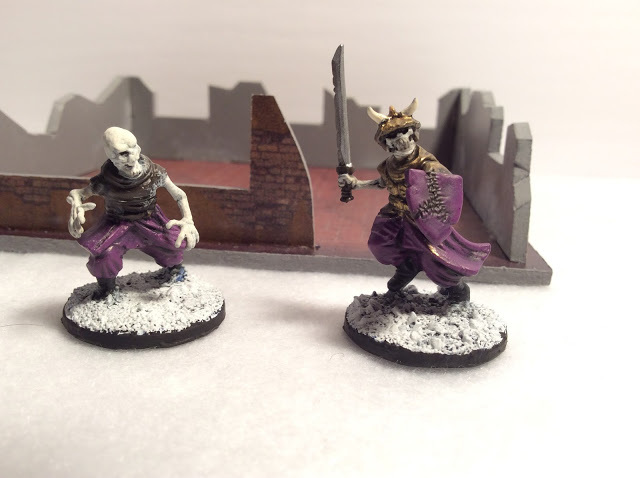 These two Skeletons are made by Mantic Games and also purchased from J&M Miniatures. I plan to use them as Small Constructs. 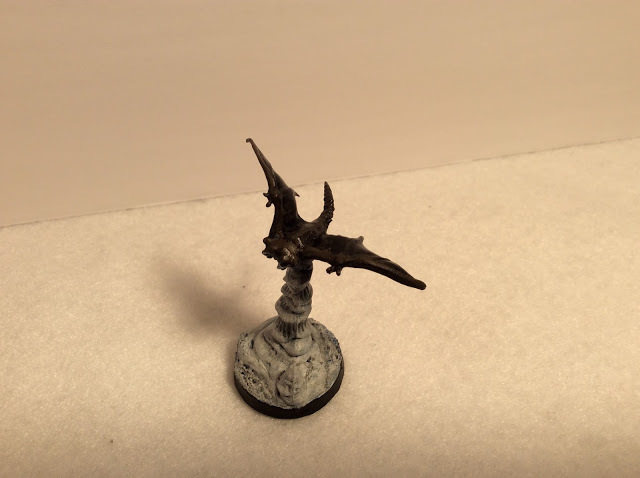 My final Frostgrave Miniature for today is a Blood Crow made from a Reaper Bones Cloak Beast. It is crunch time, so I have a lot of painting left to do. Here is hoping that I will be bringing my Cultist list to the tournament rather than my Dwarfs, whom I posted about earlier. 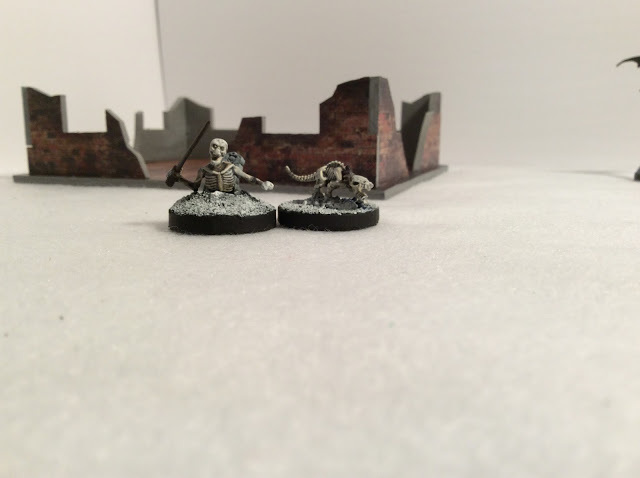 To end this post, I wanted to show off what I won from last Weekend’s Flames of War tournament at Phoenix Games. My prizes included a Special Flames of War Blister as a Door Prize and Store Credit for having the army Voted as Best Painted. See the pictures below for what I came home with. 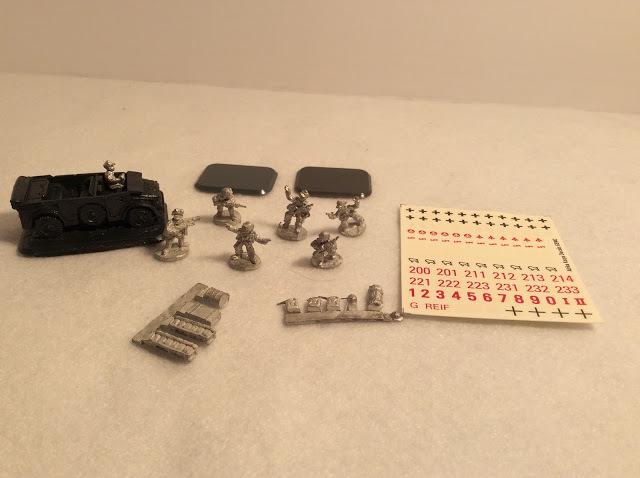 This Special Blister Pack includes a Transport Vehicle and the German figures with googles. I plan to do something sci-fi or pulpy with them in Late War. 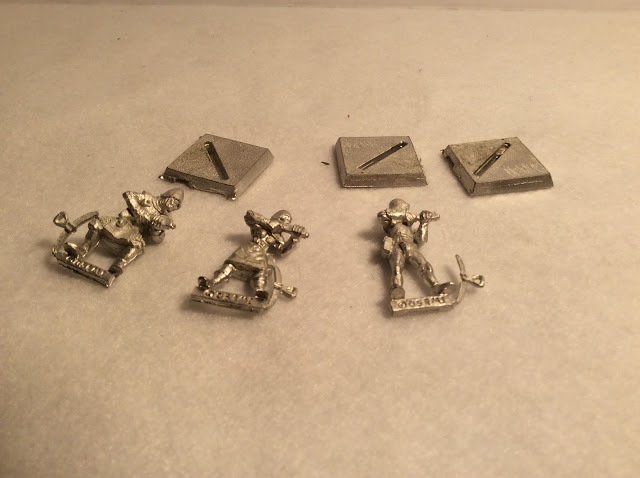 These figures are by Reaper Miniatures (in their Warlord line) and will be used as Crossbowmen and Marksmen for Frostgrave. 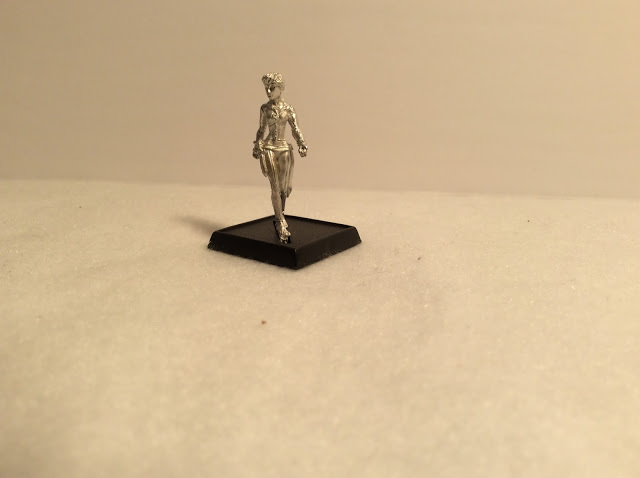 This woman is also by Reaper and found in their Pathfinder line. I could see using her as a Thief in Frostgrave, but she is also dressed in such a fashion that I might get away with using her in a Modern or Near-Modern game. This figure is an old Games Workshop Mounted Wraith. Perhaps this will eventually be used in Frostgrave if future expansions introduce mounts. I am very excited about this upcoming Tournament. I have never played Frostgrave before and I have not committed all of the rules to memory, so I am hoping either for some serious beginners luck or many votes for the best themed army. We will see how it goes and you can expect a small report of the day up here in the near future.